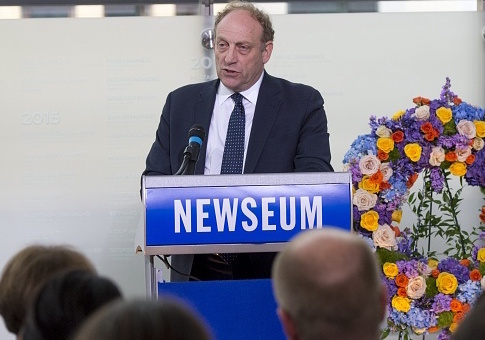 National Public Radio senior vice president of news Michael Oreskes has resigned after being accused of sexual harassment by at least two women. Oreskes had been under internal investigation after several women accused him of inappropriate sexual behavior when he was Washington bureau chief of the New York Times in the late 1990's, the Washington Post reported. One female journalist told the Post that Oreskes propositioned her several times when she was trying to break into the industry. When she mentioned she was flying to New York for an interview, Oreskes split a cab with her and at the end of the drive, "kissed her and slipped his tongue into her mouth." Another woman described how Oreskes canceled a dinner meeting and invited her to his apartment instead. At the apartment, the meeting "went off without issue," but she recalled feeling uncomfortable as he led her around with his hand on her back, and he later kissed her when she dropped him off at an airport. Oreskes' deputy at the time and future New York Times executive editor Jill Abramson also told the Post that she witnessed some of his questionable behavior towards a female employee. "I should have stopped him," admitted Abramson, who years before the incident had authored a book siding with Anita Hill's sexual harassment claim against Clarence Thomas. In an internal memo obtained by CNN on Wednesday, Oreskas resigned his position at NPR and apologized. "I am deeply sorry to the people I hurt. My behavior was wrong and inexcusable, and I accept full responsibility," he said. This entry was posted in Issues and tagged Michael Oreskes, NPR. Bookmark the permalink.